Many prospective home buyers are more interested in purchasing a condo with their VA loan than a detached home, but they aren’t sure if it’s possible. The good news is that you can purchase a VA approved condo with a VA mortgage, but you will face additional challenges. As long as you are prepared in advance for the challenges you could potentially encounter, purchasing a condo with your VA loan could be a smart move financially. VA loans are one of the best programs available because they feature no down payment, no private mortgage insurance, and low interest rates. It’s rare to find this combination of terms in other loan programs, so eligible service members and veterans should highly consider taking advantage of it. Over the course of your loan, this type of mortgage could save you thousands of dollars. What are VA Approved Condos? One of the biggest questions facing potential buyers is what VA approved condos actually are. 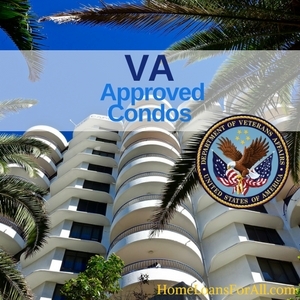 While there are all types of properties that are VA approved, the Department of Veterans Affairs doesn’t actually approve each individual condo unit, but they do take an overarching look at the complex where the unit is located. 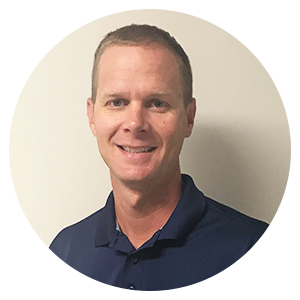 Their goal is to help veterans and service members to purchase a home that will meet all of their needs long-term, including when you may need to resell it in the future. As a result, they are interested in seeing how the complex actually functions. They want to make sure that there are no restrictions on the resale of the property, the details of the HOA, and even how the budget is spent on their community. VA approved condos are located within a complex that should be beneficial to veterans in the long run. The individual unit will still need the appraisal to receive final financing through this program. Some homebuyers aren’t really sure what they can gain from purchasing a VA approved condo instead of a traditional single-family home. Going through the approval process for a condo or a townhouse can be extremely difficult and time-consuming. Do the benefits of purchasing this type of property outweigh the disadvantages and frustration of getting the property approved? Condominiums and townhouses can be a great way to receive additional perks to your living situation at no additional cost. Many of these communities provide the same benefits as an apartment complex, including pools or gyms. High-end neighborhoods and complexes might even have a clubhouse where they host exclusive events on a regular basis. Some residents prefer the fact that the community takes care of their yard work and maintenance for them as well. Instead of renting an apartment, you could be putting your monthly housing expenses into a wiser investment. The money you spend can build equity in your home that could pay off in the future. Be sure to consider whether you can afford to maintain one of these condominiums before you purchase it, but it could be a financially savvy move for you. The best way to take advantage of all these perks is to find a unit within a pre-approved VA project. This reduces the headache of securing all of the documentation necessary for the VA to review and issue a final approval on a condo. If you aren’t in a hurry to move into your new home, you might even find that it’s worth it to move through the VA approval process. What are the VA Loan Condo Requirements? Finding a condo that meets all of the VA requirements is the first hurdle you will encounter with your purchase. You should know upfront exactly what the VA requires from a condo and the neighborhood where it is located before you become too attached to a specific unit. Take a look at these guidelines to help you meet all of the requirements. The VA does not allow veterans to purchase condos that aren’t on their list of approved complexes. Their approval means that they have already reviewed the covenants, bylaws, and other factors that could potentially limit your home’s resale value in the future. Their restrictions on complex approval are ultimately designed to benefit homeowners in the long run, even if they seem inconvenient right now. Check the VA approved condo database to determine if the complex you are interested in is already accepted. If you don’t see it in this database, you should check to see if it is approved by HUD or the USDA. It’s possible that the VA will accept a complex that already has the approval of these two agencies as long as it was granted before December of 2009. They will also need to include a letter from an attorney that demonstrates that the complex meets all of the VA’s stringent requirements. One of the primary factors the VA will be looking for is restrictions that can limit the resale of the property. For example, they will have a difficult time approving a community that has rules to prevent a foreclosure or resale without HOA approval. These can make selling the home burdensome for veterans later on down the road, so it helps for them to clarify the expectations of the complex in advance. Another major consideration is condos that are located in retirement communities for individuals over the age of 55. It isn’t a given that these types of complexes will receive a denial, but it does require a little more research from the VA and your lender. In this situation, they will be searching for proof that the complex complies with fair housing and lending laws. In short, it comes down to the fact that they do not want to limit the resale of the property in the future. Proving that your desired complex meets all of the VA loan condo requirements can be a time-consuming process. If you are in a hurry to purchase a new home and move in, attempting to purchase a not-yet-approved condo might not be the wisest move. It can be difficult to predict how long it will take for the complex to receive the coveted approval, even if you work with a lender who is experienced with this process. Sometimes, you might find that the complex and your lender can work together to complete the process smoothly. When a complex is resistant to providing the necessary documentation, the entire approval process can be held up indefinitely. It might still be a slow-moving ordeal even if they are timely with handing over the documents needed to make their complex one of the VA approved condos. You should be aware that it can take several months for a home to officially meet all of the VA loan condo requirements and receive approval. 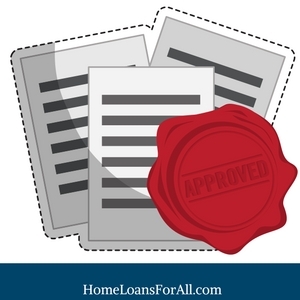 It takes time for the VA to review all of the documents that are submitted and ensure that you are getting a good deal on a home that can be resold in the future. Note that your lender cannot order the appraisal until after the approval process is complete. This means that you might be waiting for months to hear that your property is one of the VA approved condos, but it could still fail the VA inspection and derail your financing. The inspection is a crucial part of securing the financing with a VA loan, so it can still take even more time after the final approval is actually issued. Purchasing a condo is possible with the VA mortgage program, but you will need to ensure that it meets all of the VA loan condo requirements. Obtaining this approval can be a long process that seems challenging and arduous at times. However, it could be an excellent way to purchase the property of your dreams if you have time to spare. Be sure to talk with your real estate professional and your lender to help identify properties that might already fall into the VA approved condos category. Can you finance a condo with a VA loan? Yes, you can finance condos in a VA-approved project with a VA loan. Can you use a VA loan to buy a townhouse? Yes, you can use a VA loan to buy a townhouse in an approved project or complex. How can I find VA approved condos? You can search for VA approved condos in their database online here. You might also consider searching for USDA and HUD-approved condos because this could lead to a VA approval as well, provided that the condos were approved before December 2009. We Specialize in VA Mortgages, Pre Qualify Today – Click Here.